We love eating salads with fruit! What about you? Slice broccoli stem into 1/8” discs. Cut off florets and slice thinly. Slice applies into 1/8” pieces. Mix ingredients in a bowl. For the dressing, mix all ingredients together in another small bowl. Add additional seasons to taste. 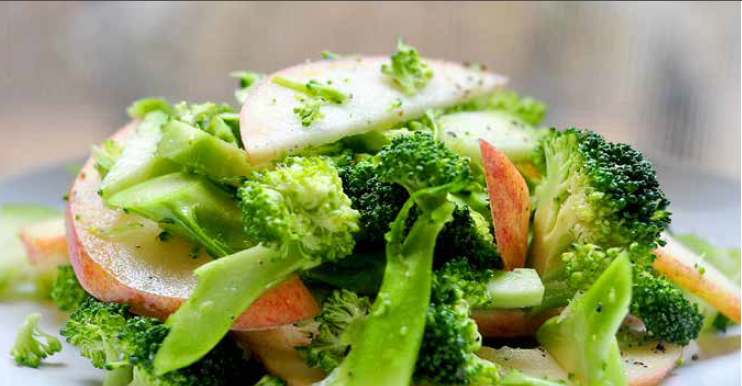 Mix dressing with the apples and broccoli. Chill for 10 minutes in the refrigerator before serving. This entry was posted in Recipes and tagged apples, broccoli, broccoli apple salad, gluten-free, salad. Bookmark the permalink.